Panerai | 132'000 € Tax inc.
“Lo Scienziato” is one of the many sobriquets earned by Galileo Galilei in the course of his long life entirely devoted to research into extending the boundaries of human knowledge through scientific learning. His discoveries had a revolutionary impact on the development of mechanical timekeeping, which would not be as it is today without Galileo’s formulation of the law of isochronism of the pendulum. 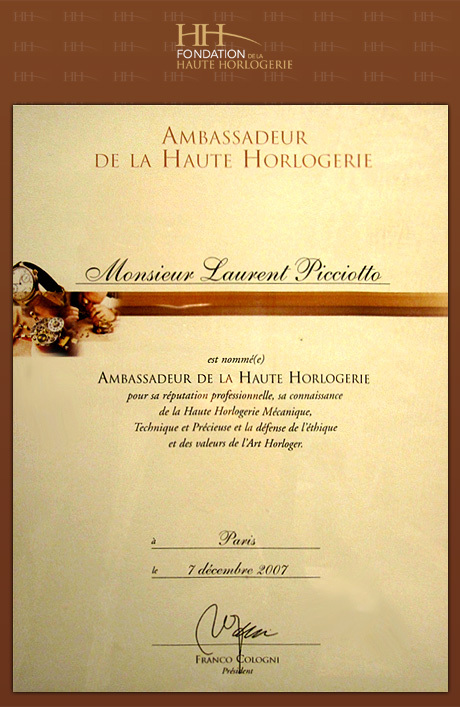 Officine Panerai’s link with “Lo Scienzato” is founded on this and reinforced by the Tuscan origins they have in common. 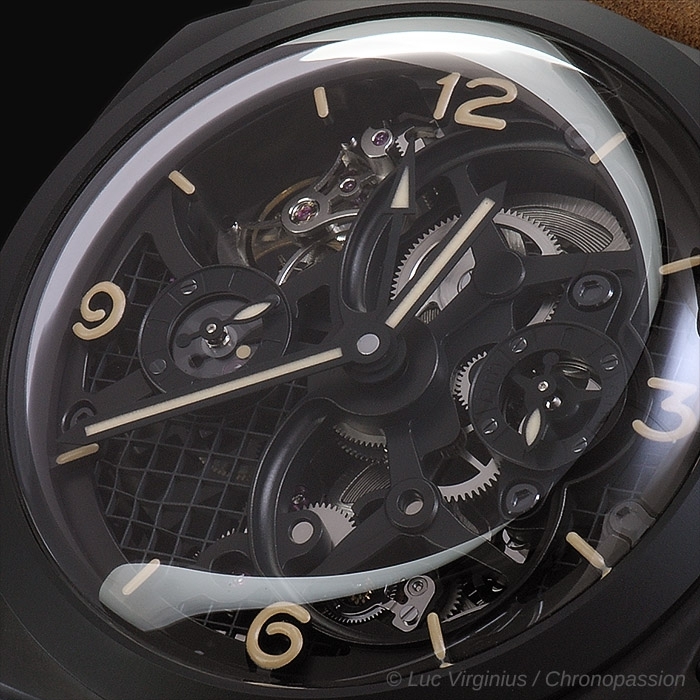 Now it is expressed in the Florentine brand’s new tribute to Galileo : Lo Scienziato – Luminor 1950 Tourbillon GMT Ceramica, a watch of remarkable technical content with costly finishing, a demonstration of the depth of technical horological knowledge that exists in the Manufacture in Neuchâtel. 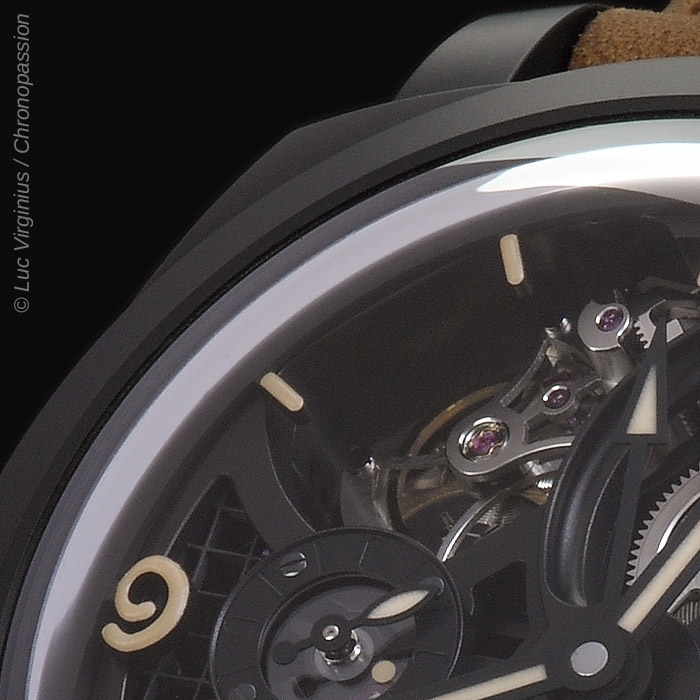 Thanks to the extensive work of skilful skeletonisation and the sapphire crystal porthole in the back, the P.2005/S hand-wound movement with tourbillon escapement, entirely developed and produced in the Officine Panerai Manufacture, is in full view. 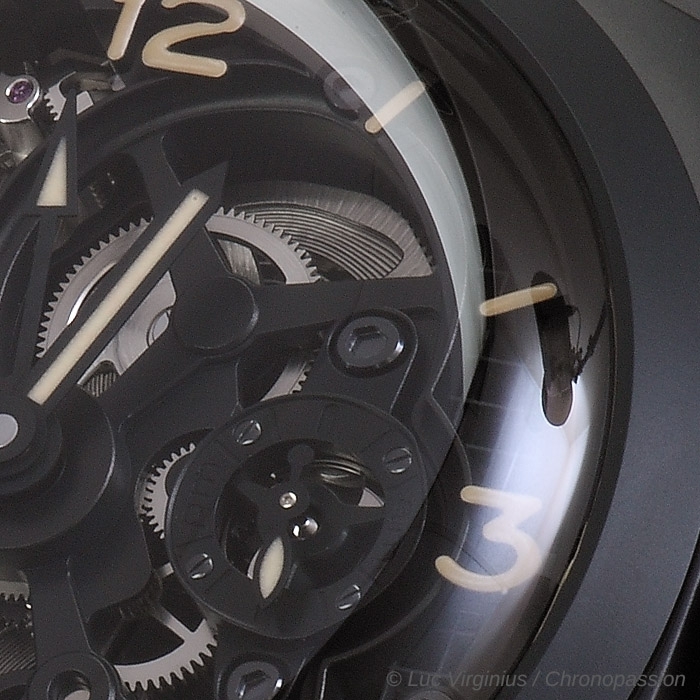 The P.2005/S skeleton hand-wound mechanical movement with a diameter of 16¼ lignes and 31 jewels, is characterised by the exclusive Panerai tourbillon that rotates perpendicularly to the axis of the balance, completing two rotations a minute instead of one, as in traditional tourbillons. 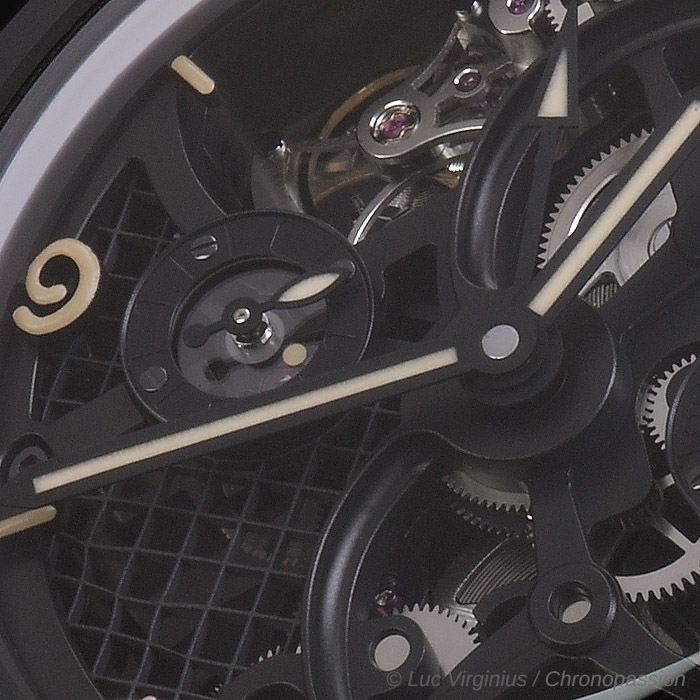 This rate of rotation ensures greater accuracy and better compensation of the effects of gravity on the movement (this tourbillon is an Officine Panerai registered patent). 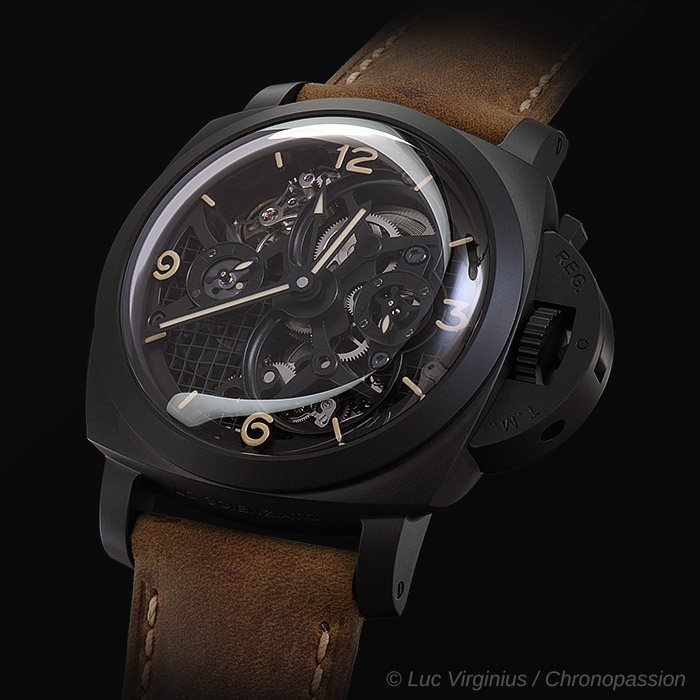 Consisting of 277 components, the movement is the result of the exceptional work of Officine Panerai’s master watchmakers and, thanks to its three spring barrels, guarantees the Radiomir Tourbillon GMT Ceramica – 48mm a power reserve of six days, indicated by a hand that can be seen through the case back. To enhance the beauty of the Panerai skeleton movement, the watch has no dial: the numerals and indexes are engraved on the flange. 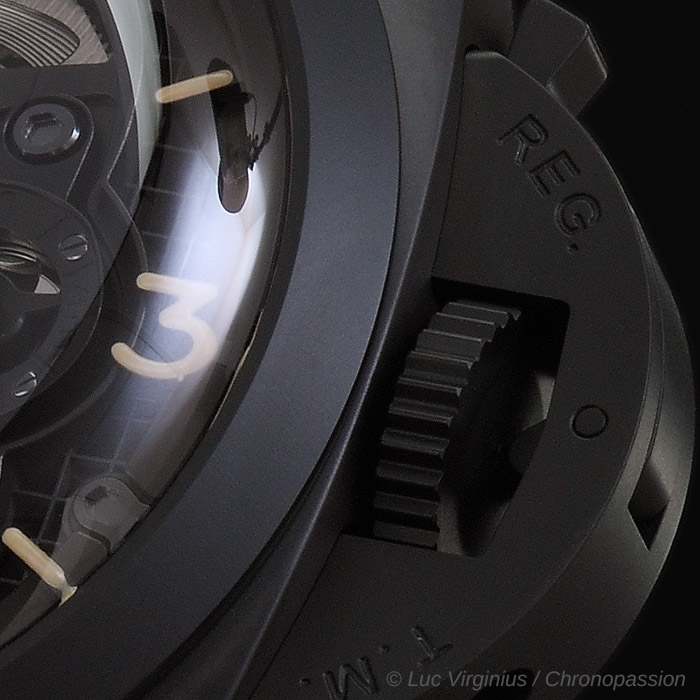 Diameter 48 mm, black ceramic. back See-through sapphire crystal. 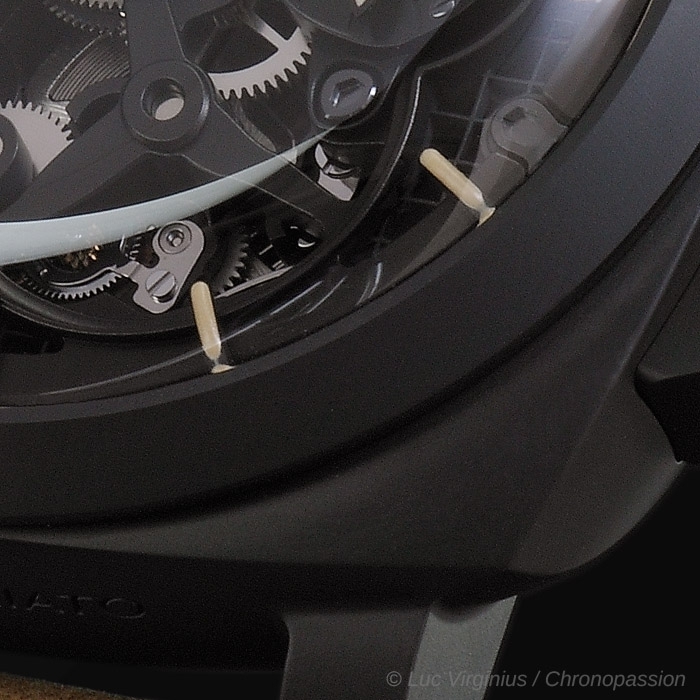 Titanium case back with special hard black coating. device protecting teh crown (protected as a trademark) Black ceramic. crystal Sapphire, made of corundum, 2 mm thick. Anti-reflective coating. water resistance 10 bar (~ 100 metres). 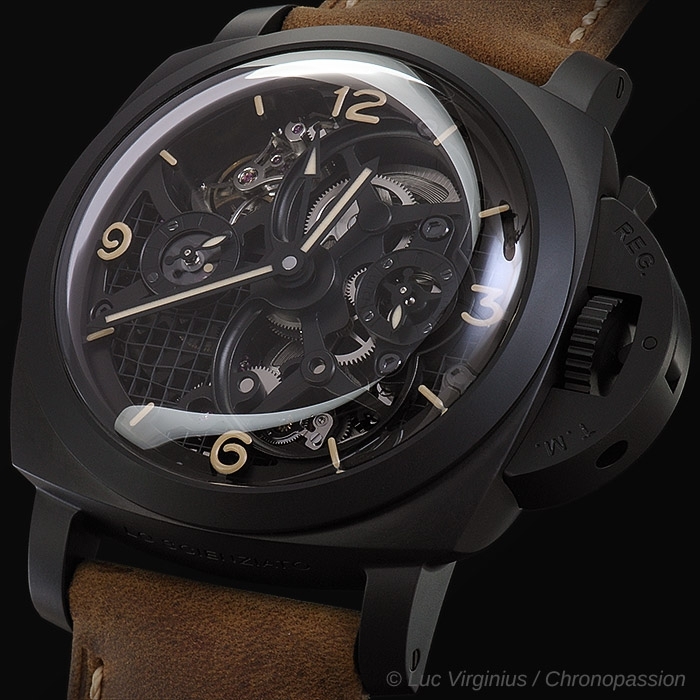 strap Panerai personalised leather strap and adjustable steel buckle with special hard black coating. Supplied with a second interchangeable strap and a steel screwdriver.